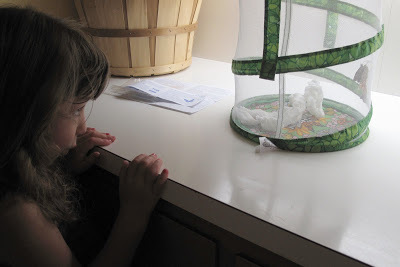 The caterpillars spun themselves into their cocoons (7-10 days) and transformed into butterflies (another 7-10 days) exactly like the directions said they would. By-the-book science projects are pretty much the only way for me, someone who must use the other side of her brain. 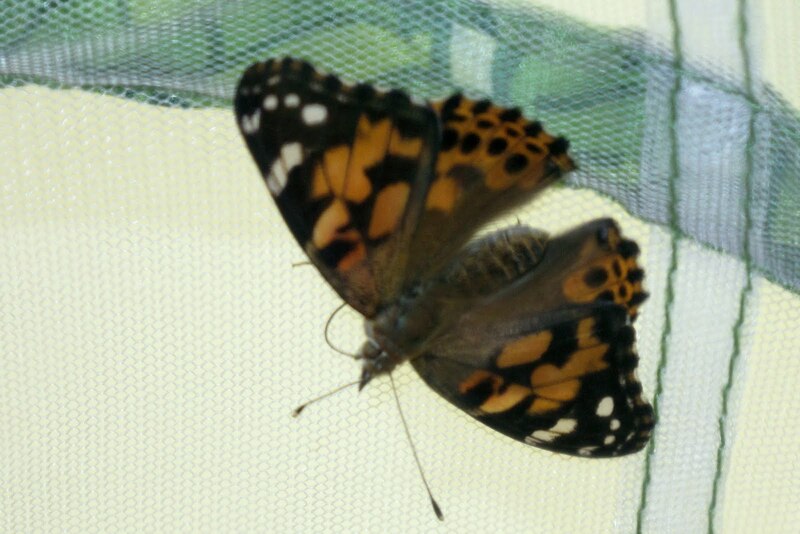 Although one butterfly does seem to have a broken wing. After another day or two of watching them and feeding them sugar water on paper towels and orange slices, we’re going to let them go. She is the most widely distributed butterfly in the world. She may travel 1,000 miles in her lifetime, which is normally 2 to 4 weeks. She breathes through her abdomen, has 10,000 eyes and tastes with her feet. Even a momma can learn something! I love seeing them open their wings to reveal the vivid orange and then close them again to camouflage themselves. They seem fragile but complex, which, really, can be said of us all.